This exclusive neighbor within the already exclusive limits of the city of Cherry Hills Village is normally regarded as being part of the Charlou area of Cherry Hills and not a separate community or neighborhood in its own right. This isn't a negative point in reference to Chaumont as the entire city of Cherry Hills Village is regarded as one of the best places to both invest and live in anywhere in the United States. Chaumont features properties moving upwards to the more expensive homes in the area. Many of the properties in this area are located on large plots of land and the entire Chaumont area has a very open and spacious feel to it, in terms of the properties themselves and the open spaces surrounding them. 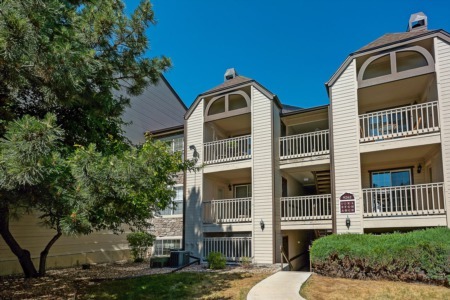 East Quincy Avenue and the I-25 provide you with access to rest of Cherry Hills Village and the rest of the Metro Denver area also. The city of Cherry Hills Village has a very low crime rate, with certain types of crime being almost non-existent but this is also helped along by the presence of the fulltime Cherry Hills Village Police Department. The Metro South Fire Rescue service also provides EMT and firefighting services in the area but there are several major hospitals in the area too if you have a serious medical emergency. Your family shopping needs will be catered for by the stores and eateries which are located in Tamarac Square or as part of the Denver Tech Center, which features everything from a King Soopers to bars, banks and even a movie theater.